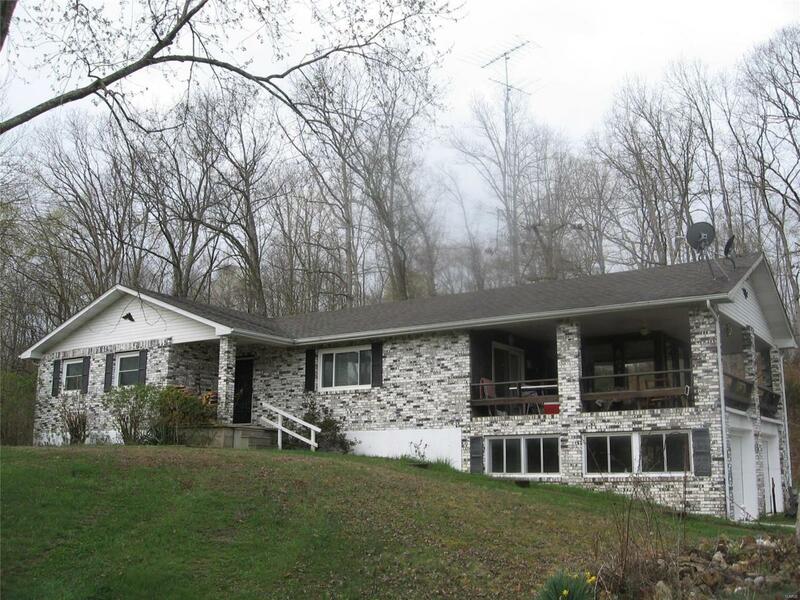 COUNTRY HOME JUST OUTSIDE OF MARQUAND: This all brick home has a hilltop setting with some great views. It offers 3-BR, 1.5-BA on the mail level, FR with a wood burning fireplace, sunroom, and a large covered deck overlooking the property. This all electric home has a wood burning furnace in the partially finished basement, a second kitchen, sleeping room, full bath and another family room. There is a spring branch and over 28 acres of woods and open ground for your outdoor pleasure.